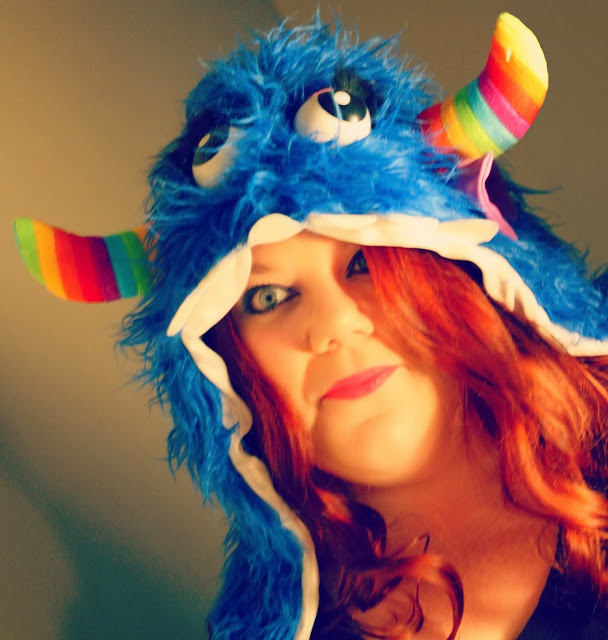 Enchanted Excurse: Today I Am A Monstah!! Today I Am A Monstah!! Happy Halloween Loverlies!! 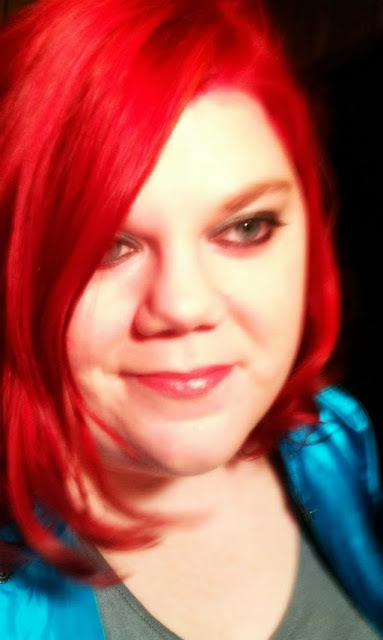 I decided to redye my hair again to Red. Yay!!! I was reading this blog I follow called Hairspray & Highheels the other day. I noticed she blogged about this red hair dye from Vidal Sassoon. The color of this dye is called 5RR Medium Vibrant Red. I have never used this brand's hair dye before. 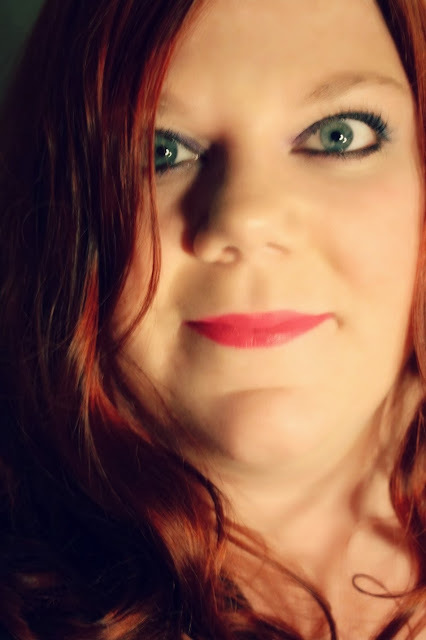 Her's came out beautiful, and made me want red hair again, So I decided to try it. I had my sister in law dye it for me, because I cannot do it myself. lol It seemed to go on easy and smoothly. I will admit though, this hair dye had my scalp burning a bit. Quite a bit. I have sensitive skin though and don't recall any other dye hurting as bad. Luckily the burn did go away while I was waiting for the dye to set. That was the only complaint I will have to give this brand. Anyways My hair came out beautifully though!! In the pictures below my hair has faded some. This is what the dye looks like after 7 washes. I don't mind though, it looks a bit more natural now. :) I love it!! Ta Ta For Now!! I have a slight Filter on these pictures. But this one you can hardly tell. This is my halloween costume today. LOL Even though I don't have anywhere to go. Too bad you can't see the bottom part. lol I just paired it with black outfit and rainbow colored tutu!! YAY!!! LOVE it!!! So glad you liked it! !